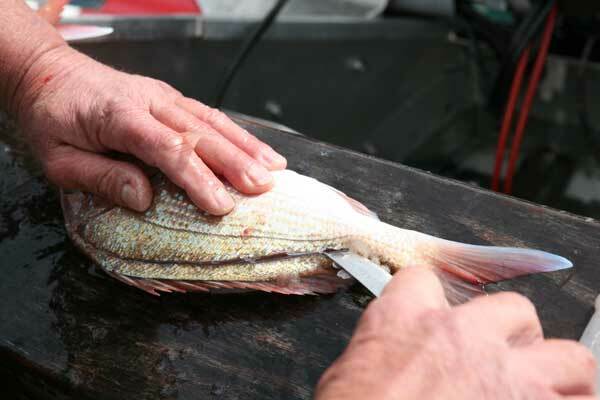 We have split the "how to fillet a fish" section into three parts because we felt it was more important to have big clear pictures showing how to fillet a fish rather than a single page with many small pictures. We have has just turned the fish over after losening the first fillet and repeated the first cuts he made behind the fish head on the other side and near the dorsal fin. 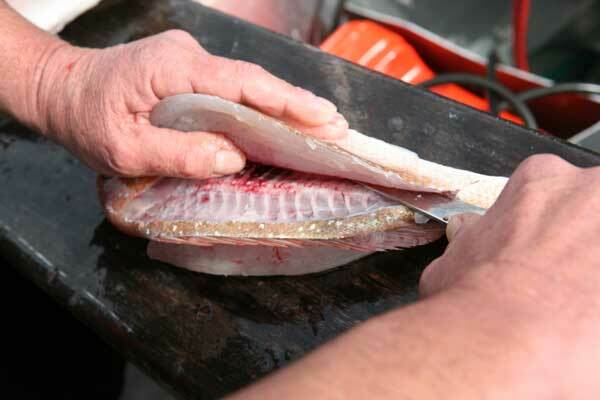 Pic Below: Now repeat the second cut near the dorsal fin with the fillet knife angled slightly downwards. 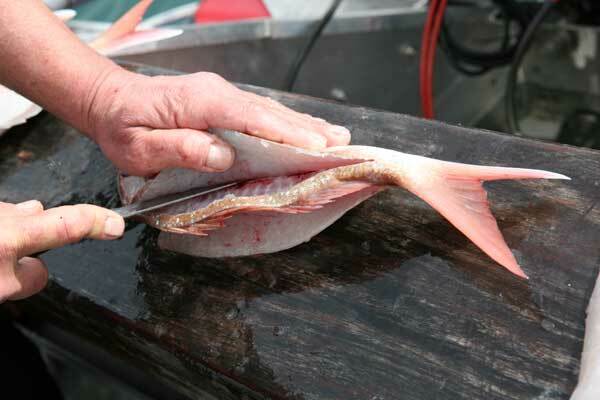 Peel the fillet back and cut around the backbone and through the small lateral bones. 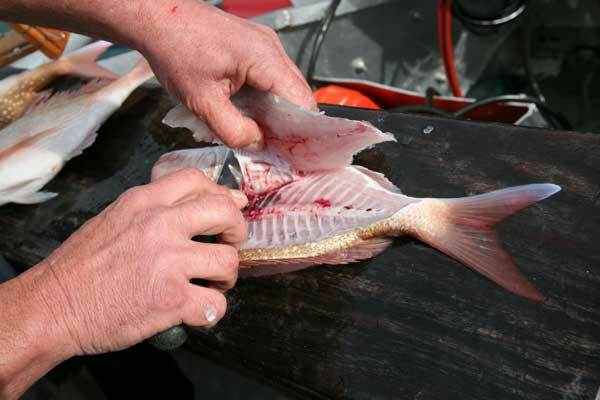 Run the fillet knife right through to the skin on the underside of the fish. Cut over the belly flap either through or over the belly bones, we have easily cut through them here with his razor sharp Victorinox filleting knife. 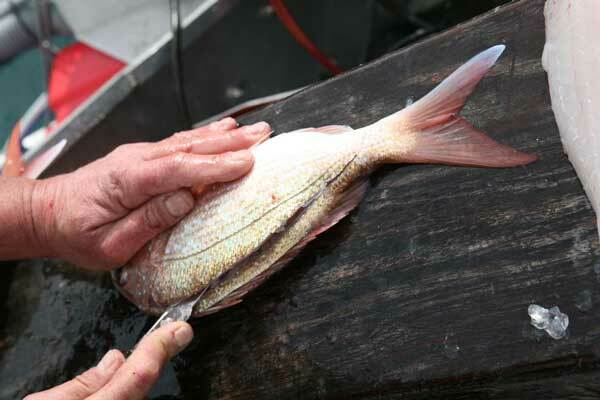 When filleting saltwater fish the taste is improved immensely if the fillets are washed in seawater. A very sharp knife, frequently honed, will help maintain the delicate texture.